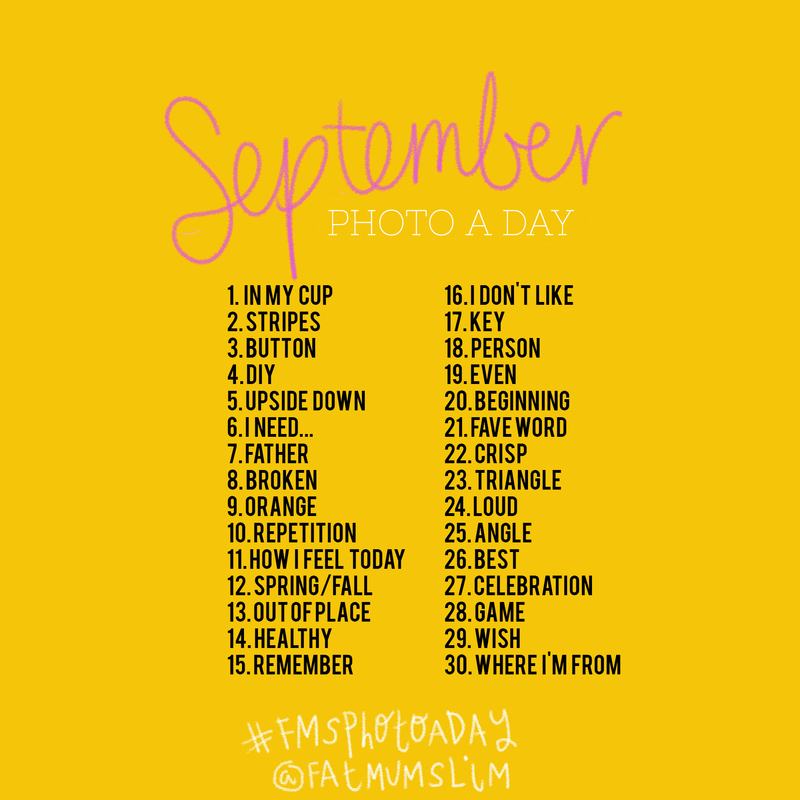 For September 2014’s Photo-a-Day list, FatMumSlim used prompts submitted to her by challenge participants. Here’s the list. Happy picture taking! This entry was posted in Instagr.am, Photo-a-Day Challenge and tagged FatMumSlim, FatMumSlim Photo Challenge, FatMumSlim Photo-a-Day List, FMSphotoaday, fmsphotoadaySEPT, Photo-a-day, photo-a-day challenge, September Photo-a-day list. Bookmark the permalink.